Daily Mirror - Their refugee status remains unchanged! Their refugee status remains unchanged! The JO door remains virtually closed to the Group 15 Blues, who have now burnt bridges behind yahapalanaya, they say. The reason is that some JO diehards are dead against having any truck with the Group. 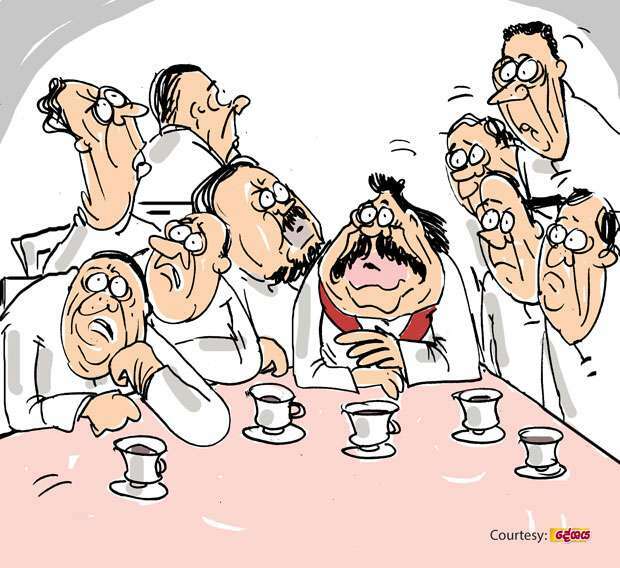 Though the former strongman has overcome the vehement objections raised by the JO stalwart from Kandy, he has yet to still the protesting voices coming from the party heavyweights from Matara, Galle and Matale. However, the former strongman who maintains that even the dregs of earth come in handy at an election is planning to iron out their differences at a roundtable to be held shortly, they say.